Tanis Fiber Arts Year in Colour Club. Tanis' yarns and colorways are truly exceptional and this particular skein was of course no different. When September rolls around every year... I start to think about dreamy autumnal shades. 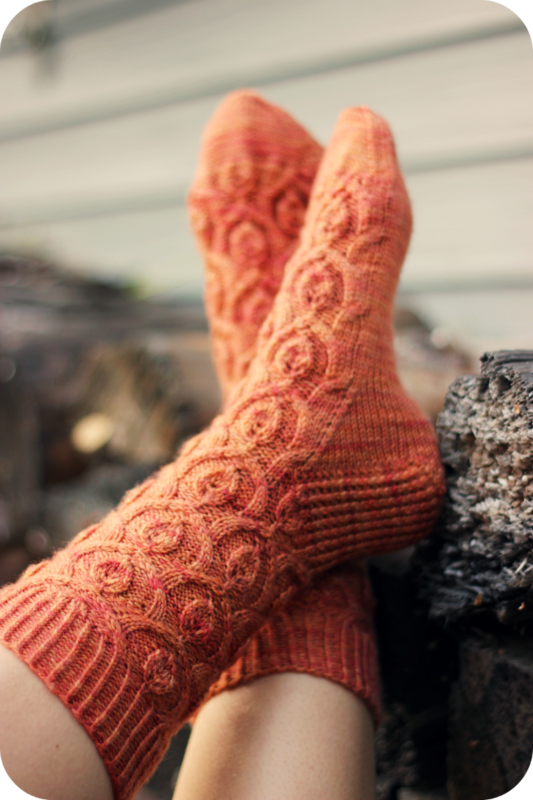 This colorway perfectly reflects the colors of the changing leaves and evokes the feeling of a cozy autumn afternoon when the air is crisp and the world is colorful. These socks combine my two favorite things. 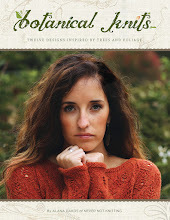 A leafy textural stitch pattern and the warm inviting colors of the season. This pattern is available exclusively to the Year in Colour Club members but will be available to the public as part of my new pattern collection coming in 2013. It has been practically ages since I knit something in garter stitch on straight needles like this. It takes me back to when I was first learning to knit and how I wasted spent so many years of my life knitting nothing but garter stitch scarves in the ugliest most unusual novelty yarns imaginable. A garter stitch scarf is a great practice piece for a beginner. 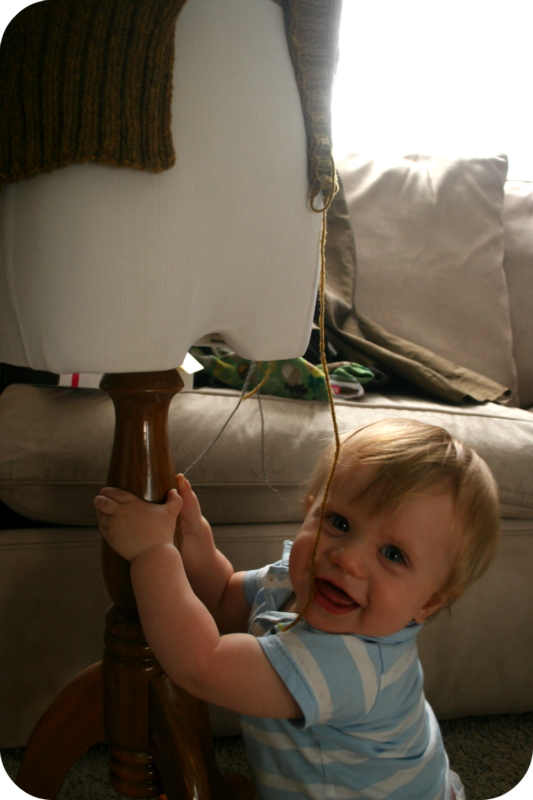 It's the quintessential "first project" for a knitter. only hers doesn't turn out so well at first. 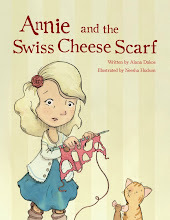 A friend suggested that there should be a pattern for a "Swiss Cheese Scarf" to match the scarf in the book. At first this idea seemed odd. Why would there need to be a pattern out there for a messy scarf? 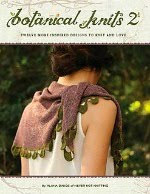 I'm sure that all of us have a scarf like that already buried deep in a drawer of early knitting! Something we never wear, but have to keep as a memento of our personal knitting history. Does something like this really need a pattern? Well.. after some consideration I figured.. why not? 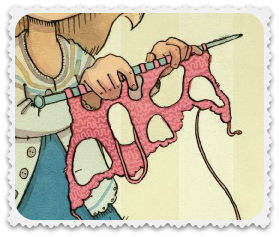 So I am putting together a little scarf pattern that will be a free download on the Anniecanknit.com website. A little one skein chunky weight scarf with irregular edges and well placed "swiss cheese" holes, just like Annie's. A perfectly quick and fun little knit to give to the child in your life along with the book so that they can "match" with the story character. 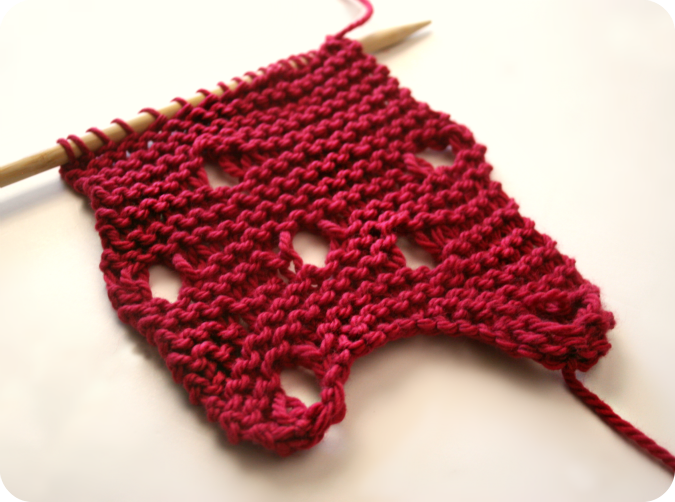 I'm hoping that this holey version will remind them that knitting doesn't have to be perfect and will motivate them to try their hand at making their own garter stitch scarf. I'm writing up the instructions for the "Swiss Cheese" section and then will pass it off to my 6-year old to knit the rest of the garter stitch. Then this scarf will be from the both of us. 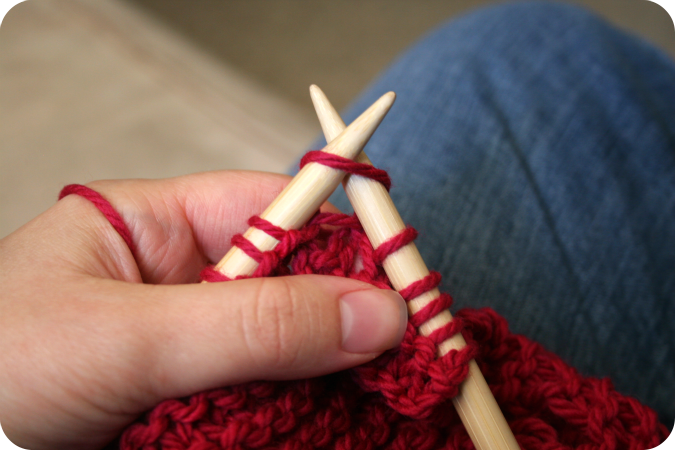 As a perfectionist.. you have NO idea how hard it is for me to knit something that looks messy on purpose! Things are coming together on the Annie book! This project has taken on a life of it's own and is taking longer than I thought. Thank you for your patience while we finalize everything. More information as well as pre-ordering will be available soon. I recently pulled out some of the Fibre Company's new Tundra yarn for a new pattern, and the colors were so pretty I just had to snap a quick picture to share before dismantling these skeins. This yarn is similar in weight and feel to the ever popular Misti Alpaca Chunky that I used in my Shawl Collared Cowl design. But it has a more luxurious hand with the addition of merino and silk. 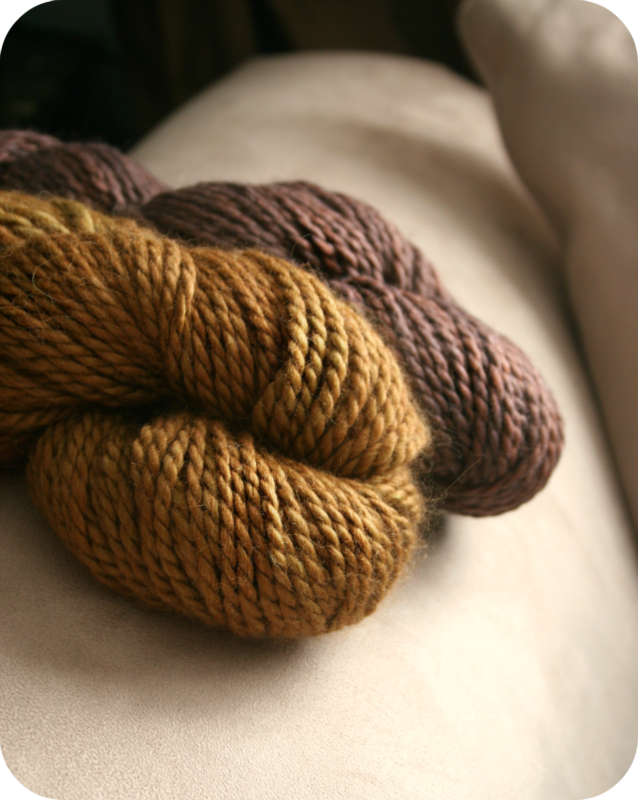 And who can resist those Fiber Company colorways? Not I. 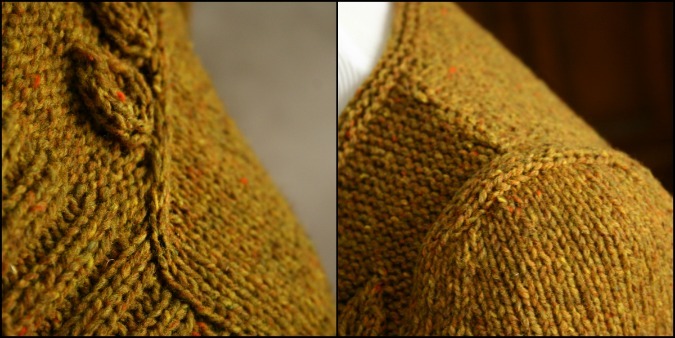 The colorways shown above are Larch and Mink. I am not planning on using them together.. but the colors look so nicely put side to side. pre-orders for the new "Annie" book. It's exciting! And busy! I look forward to showing you lots of fun new things very soon. Among other large projects I am working on behind the scenes here, I have recently been finishing up a new sweater design out of the very lovely Brooklyn Tweed Shelter yarn in the Hayloft colorway. I have run into a few snags with this yarn that have made for a few interesting and funny stories that I will be sure to share on my upcoming podcast episode for this month. Despite all of that however, I have to say.. 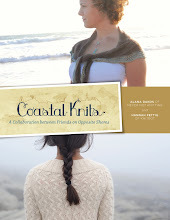 I have thoroughly enjoyed working with this yarn. Its rugged, and beautiful, and just feels... good to knit with. Because I am mean like that. I'm on the home stretch. This sweater just needs some final finishing touches.